Today, 1 August 2018, Musqogees Tech Ltd has announced a launch of their new project “Redenom”. Redenom – A revolutionary DAO crowd-investing paradigm combining the Principle of Redenomination and the Zero-Sum Game Theory and organized based on blockchain technologies. 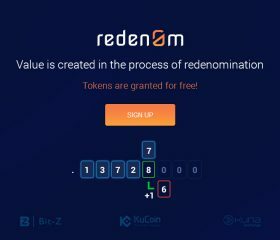 Token Redenom (NOM) – will circulate on the leading crypto exchanges and its value will be formed in the process of redenomination. 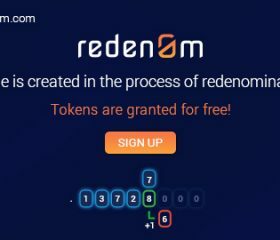 The concept of distribution of tokens between participants is based on a total airdrop systemThe Musqogees Tech Ltd (http://musqogee.com) announces the launch of a blockchain fintech project“REDENOM” (https://redenom.com), over which the company team was working for one and a half years (2017-2018). 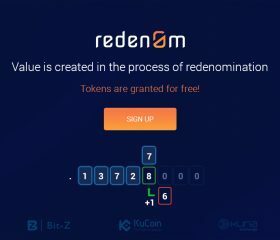 The main goal of the Redenom project is the creation of the token value in the process of its circulation on crypto currency exchanges. The system does not include the implementation of ICO / TGE events and Musqogees Tech Ltd will not collect funds for the needs of the project development. Company invests its own funds both in the development of systems and in the process of forming the values of the token. 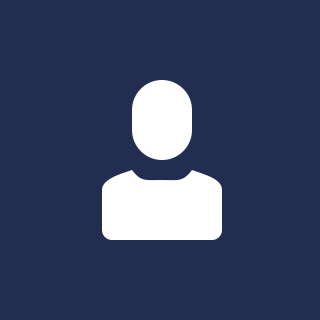 All tokens will be divided among project participants according to strictly programmed rules (a certain number of tokens for simple user registration and additional number of tokens for KYC procedure passing). Thus, each person has the opportunity to register in the system and receive on his wallet a certain amount of crypto currency NOM. Simultaneously with the generation and transfer to the new user of the correct amount of NOM on his wallet, the system provides generation and transfer to the Redenom DAO FUND account 30% of the amount generated for the user. 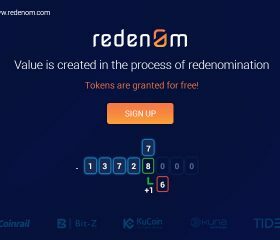 In the future, the funds available to Redenom DAO FUND will be invested in crypto projects that were selected by the participants of the system on the principle of quadratic blockchain voting. Each participant of the system receives a fair right to the status of the investor and the owner of the project (in the case of a prospective project). Absence of plans for an ICO event and the need to attract funds from investors. The world of money and finances, as we know it, will never be the same. Since its foundation in 2014, MUSQOGEES Tech Ltd has been carefully selecting qualified professionals in the most diverse areas of the IT industry. Working with customers from all over the world, company constantly creates modern and promising projects while improving their skills. Today, they are ready to accept any challenge in the IT field. Company main goal is to be on the cutting edge of technology. They always follow the news of the IT market and eagerly study any new and promising technology to apply in their projects as well as in the projects of their customers. They realize that the use of new technologies such as Blockchain, BigData and AI, change the world completely and provide new solutions to many practical problems. Therefore, in-depth study and application of such methods allow them and their partners to be always one step ahead of competitors. Their team consists of specialists who cover a vast range of modern technologies from web design to the development of Blockchain systems. These technologies allow them to quickly and efficiently set up an IT project regardless of its complexity. No matter how difficult a task for their customers might be, they will find the best solution for its fulfillment within the shortest possible time. Using development approaches such as AGILE and DSDM gives them greater flexibility and allows them to adapt to the fast-changing environment and meet customer requirements. They enjoy doing their job and they are really inspired by modern technologies. Therefore, they take care of their projects in the best way possible. A sophisticated IT system regular as clockwork is their basic principle of work. The valuable experience of MUSQOGEES specialists has made their team a real coherent IT production line. This allows them to fulfill the tasks of their customers with maximum speed without compromising on quality.